TTV was founded in 1982 and since then we have been growing continuously mainly thanks to our staff, which is one of the cornerstones of our company and to the continuous technical innovations of our products. TTV valves are technologically advanced and highly competitive thus they are currently very succesful in many countries all over the world. TTV work is focused on design, production and quality. Sales all over the world are managed through an authorised distributor network. TTV has foundries in Europe and Asia, which are always homologated, and constantly invests to produce with more quality and effectively. Assembly and testing are always carried out in our facilities. TTV can give very short delivery times as it has got a large stock of valves and spare parts in our facilities. 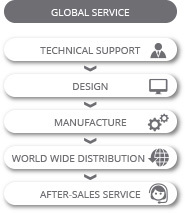 TTV provides to our clients a global service, from technical support to select suitable valve to customized design and manufacturing to achieve special services. 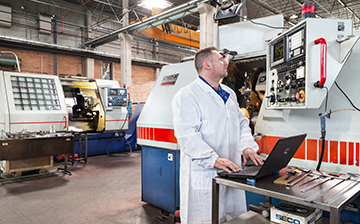 The over 30 years' experience in valve manufacturing has given us the knowledge to achieve a highly especialized product, which is proven in all industry sectors. 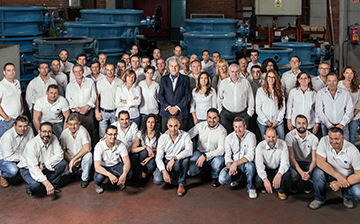 This experience allows us to provide technical support to our clients to select the most suitable materials and valve type in each case. The quality of our valves is fully guaranteed as 100% of them are hydrostatically and bidirectionally tested before shipping. • Reduced dimensions and weights. • Easy assembly, disassembly and maneuvering. • Simple manual regulation and electrical, pneumatic and hydraulic automation. • Auto cleaning and maintenance free. • Fully tightness and minimum leakage. • Full guarantee and after sales service. 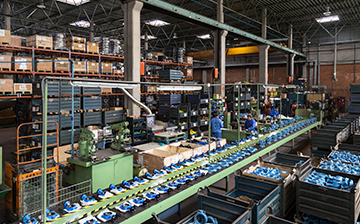 TTV has got factories in Spain (Madrid), China (Hangzhou), Mexico (Jalisco) and South Africa (Johannesburg, Sasolburg and Cape Town) and authorized distributors nearly all over the world. Please contact us to guide you to the most suitable distributor. In addition to our own facilities, there are stockist with TTV valves in stock in many countries.